Since 2013, when award-winning journalist and National Geographic fellow Paul Salopek set out on his epic 21,000 mile, multi-year journey retracing human migration from Africa through Asia to the Americas, he has been joined by over 20,000 students and teachers from 55 countries – online, of course. Project Zero, a research center at the Harvard Graduate School of Education, launched “Out of Eden Learn” (OOEL) as a companion learning journey for students aged 3-19, their parents and teachers. QFI became an OOEL partner this month to expand access to and awareness of this incredible journey through our global network of partner schools and educators. Paul Salopek is walking the entire route, which affords him plenty of time for discussions with the people he meets along the way, and reflections on all he’s seen. That deliberate and slow pace, the care given to listening and appreciating other perspectives are integral to OOEL’s goals and to QFI’s mission. To stop and think is a powerful attribute that is all-too-often in short supply in a digital age where quick, often reflexive reaction is the norm. OOEL are pursuing various research strands in addition to running their program. For example, in December 2018, writing in the Global Education Review, Liz Dawes Duraisingh, Sarah Sheya, and Emi Kane propose a framework for engaging youth around the topic of human migration that resulted from a close examination of 140 students’ posts and comments as well as interviews with 14 educators. The framework proposes that youth be supported to develop (1) curiosity and engagement about individual migration stories and migration in general, (2) nuanced understanding of the complex and diverse factors that help shape historical and contemporary migration experiences, and (3) critical awareness of their own and others’ perspectives on migration and migrants. A visual representation is provided. Specific examples of student dialogue are unpacked to illustrate the framework, with discussion of the following cognitive and affective challenges: “the Three O’s” of overgeneralization, overconfidence, and othering. Engaging young people in discussions of their own experiences, developing their capacity to understand how others’ views are shaped, and to hear those views and respond thoughtfully to them are OOEL’s signature objectives. 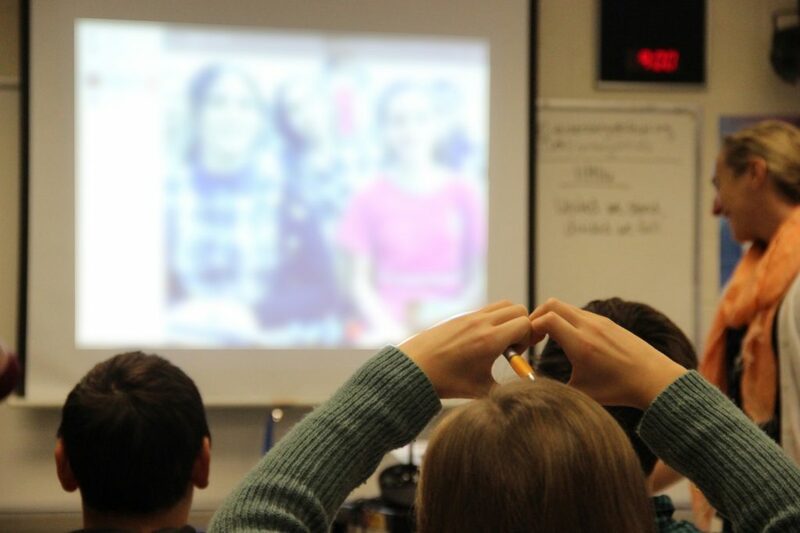 Based on QFI’s experiences with online and physical exchanges between classrooms in the U.S., Europe, and Qatar, these active listening skills are critical not only to the success of cross-cultural communication, they are also essential soft-skills that employers increasingly seek in their new hires. Both QFI and OOEL want to see a world where more students have access to virtual educational exchange programs that connect them with the world and challenge them to expand their horizons.